Fantasy football can dominate the conversation these days. It’s a safe bet given how coarse the national discourse has become. I haven’t been lucky until now. There is a method to the Fantasy madness. Hint, I’ve used the waiver wire a lot and found some overlooked rookies. 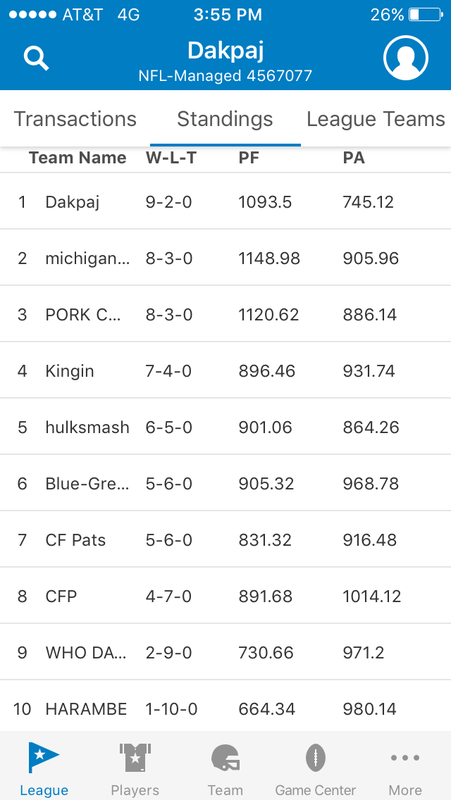 I’m #1 (Dakpaj) in my league thanks to Dak Prescott. Go Cowboys!